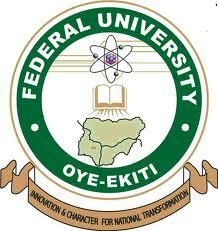 Read Also: FUOYE Admission List. Step 5:Note that your initial password is “password”, provide any desired password of your choice in the new password fieldsto change your password. [Note: Ensure to choose password you can remember.] Note: An Email containing the details of your new account setup will be sent to your mail for future reference incase you forget. If at anytime you seek clarification, send an email and clearly state your registration Number in all your mail accordingly to: support@fuoye.edu.ngor use our online Chat support system.